It's Saturday Night Genealogy Fun from Randy Seaver at Geneamusings. 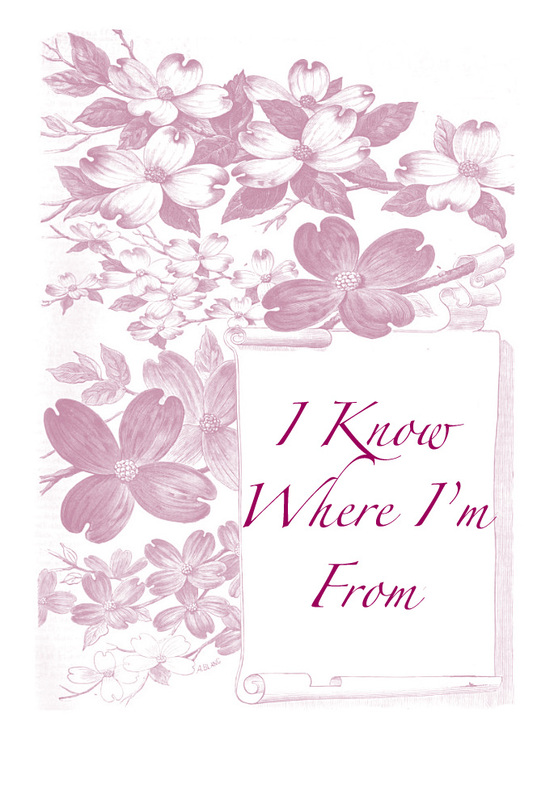 Write a poem about "Where I'm From" using the template found at the website http://www.swva.net/fred1st/wif.htm and of course to post it. You should know by now, Maven's not very good with templates. So, I've given it my own twist. I am from the good earth, from Mississippi mud and lead leavings. I am from the house my father built with his own two hands. From hands I remember. From hands I loved. From hands my son now bears. I am from the dogwood trees that dotted our five acres and the Mother's Day cards I crafted in their likeness as a child. I am from Zora and Otie's line of Bones and Campbells. I am from Sunday sit down dinners and shotguns resting against the kitchen stove. I am from the "work your fingers to the bone" and from "give a man a dollar and a half's worth of work for every dollar he pays you" ethic. From the "there'll be no Hell for dogs" and "are you wearing clean underwear" admonitions. I am from the I believe in God the Father Almighty Maker of Heaven and Earth, Sunday School, and those frustrating catechism classes. I am from Missouri Synod Lutherans. I'm from a small island where you could see the laundry hanging on the lines in both Ireland and Scotland. I'm from fried rabbit and Baked Alaska. From people with an easy southern charm, slow to anger, quick to laugh. From people who have made me and made me proud. I am from the good earth and the good people. 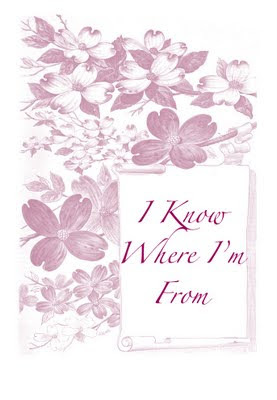 I like where you're from. Beautifully put. Splendid, fM! Will you write mine too? Nice twist to the template. Good place to be from. I went home with you. Great poem! What a great poem. I didn't read the template, but I do like what you wrote. Kudos! Beautifully done. If I can learn to write as beautifully as you do, I will die a happy blogger. I'll try my own hand. What wonderful inspiration! How To Cite A Blog Article/Post! 108 COG - Food For Thought!